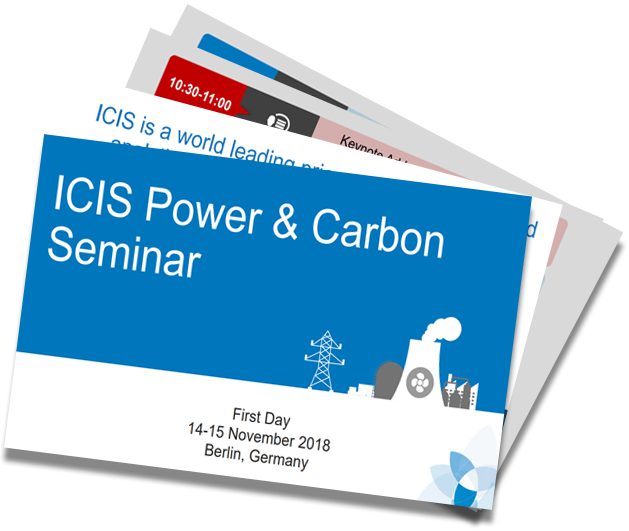 Following the success of the ICIS Power and Carbon Seminar in Berlin, we would like to give you the opportunity to download the slides presented by our market analysts and guest speakers. The ICIS Power and Carbon Seminar is a chance to learn about the most relevant and up-to-date information on future trends, impact on the markets, key developments and potential growth opportunities. 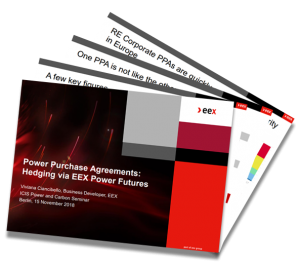 In cooperation with EEX, on 14 and 15 November, ICIS market experts and guest speakers shared their insights on topics including Brexit, regulation impact and renewable capacity. The ICIS Power and Carbon Seminar is a chance to learn about the most relevant and up-to-date information on future trends, impact on the markets, key developments and potential growth opportunities for the markets.